The U.S. Geological Survey, California Water Science Center (CAWSC) provides reliable, impartial, foundational data and scientific analysis to address water issues facing California today. We conduct hydrologic monitoring and investigative studies in partnership with Federal, State, and local agencies to assist them in managing California's water resources. 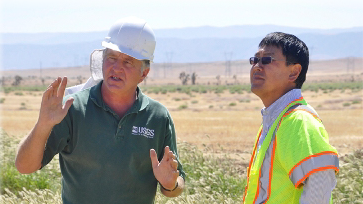 The USGS California Water Science Center works with state and other Federal agencies to conduct studies that will give water managers the knowledge they need to effectively allocate water resources under increasing demands.